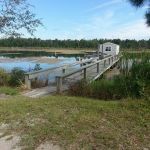 Ask fellow campers about "Horne Lake RV Park (formerly Osprey First In Florida RV Park)" and nearby attractions. We had two nights of vacation left and really wanted to visit St. Mary's historic district before heading north. This campground showed on our map as just off i95 which we considered perfect. As mentioned in most of the reviews, this is an older park with a large population of residents and many older homes. Sites are extremely small, but without a slide this wasn't a problem. Water pressure, WiFi and TV were good. Site was level and hard. What I really liked were 1. Friendly staff and 2. Friendly neighbors. Everyone at least offered a greeting and one fellow stopped by each night and visited for some time. We didn't have time to take advantage of the hiking trails or lake. The only real downside was the traffic noise. i95 is really close and the traffic doesn't let up during the night. We camped at Horne Lake RV Park (formerly Osprey First In Florida RV Park) in a Travel Trailer. We found plenty of shopping within 10 minutes and really enjoyed a day in St. Mary's historic district. Mostly permanent residents with lots of clutter around the units. Cracked concrete pads. Very narrow sites, some not conducive to multiple slides. Clean but very old bathrooms. Game room dumpy. Staff friendly, clean laundry, and close to interstate for those just traveling through the area. Great Internet, able to stream without a problem. We camped at Horne Lake RV Park (formerly Osprey First In Florida RV Park) in a Motorhome. Had to stay two nights but will never stay again. Directions were useless. Billboard hadn't been changed to reflect the new name, nobody working in office and cell phones apparently not in use because we tried several times to call and had zero luck. Place was packed with seasonal campers and very close quarters. I asked my wife to pass the pepper and the guy next door brought it over. We camped at Horne Lake RV Park (formerly Osprey First In Florida RV Park) in a Travel Trailer. Perfect midway point for us traveling from Orlando area back to NC. Staff very friendly and accommodating. Older campground with extra long sewer lines needed for sewer hookup. Sites really close. Pet friendly with trails and a lake. Great location right off the interstate without noise from the road. Some rundown, permanent sites there but for overnight, had everything we needed and price was GREAT! We camped at Horne Lake RV Park (formerly Osprey First In Florida RV Park) in a Motorhome. The name of the campground has been changed to Horne Lake. The campground is quite run down and not big rig friendly. It has been a very long time since Good Sam has visited this place. We camped at Horne Lake RV Park (formerly Osprey First In Florida RV Park) in a Motorhome. Good enough as a one night, in and out. Very easy access. Right next to the ramp of I-95 exit #380. Two miles from GA line. Spaces are little narrow, but plenty long enough to avoid unhooking. The sewer location is so far to the rear of the sites it might be easier to us the dump station on your way out. We camped at Horne Lake RV Park (formerly Osprey First In Florida RV Park) in a Motorhome. 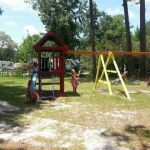 This park is now Osprey First in Florida RV Park, but everything else is the same as previous reviews. Wi-Fi still broken. Our concrete pull-through site was long enough that we didn't unhook for the one night we spent here. Sites are VERY close together, but it is a good place to stop for one night. Easy on and off interstate, long sites, decent price. I would stop here again. We camped at Horne Lake RV Park (formerly Osprey First In Florida RV Park) in a Travel Trailer. Older park. Sites are all pull though with concrete pads. Small sites that make your neighbors very close if you both have slide outs. Easy on and off the freeway. No Wi-Fi even though advertised as such. Been "broke" since January (I assume that is this year). Good for overnight but would not want to stay much longer. We camped at Horne Lake RV Park (formerly Osprey First In Florida RV Park) in a Fifth Wheel. We were on our way to a vacation destination and needed a place to overnight. My uncle had suggested this place, so we stopped. Everyone was friendly, and the campground was okay for a one nighter, but I wouldn't call this anything better than an "I need a place to stay and this is safer than a rest stop," kind of a place. We camped at Horne Lake RV Park (formerly Osprey First In Florida RV Park) in a Motorhome. We camped here over the Thanksgiving holiday, to visit friends. All of the roads are paved and the sites are all concrete and pull throughs. The problem is that the sites are very narrow and therefore are very close to each other. If you have a big rig with slides you will have some problems in that your slide will be over your neighbors campsite. Because we have a small (19') TT we did not have a problem but we did not like having people so close. The grounds are clean, the bath area is clean and well kept, and management was always on site. It seemed that most of the RV's were long term users but it did not have a trailer park feel or look. All of the sites were well maintained. They do not allow individual campfires but they have a community camp fire site that is always availaable for use. Since we were there over Thansgiving the management had a very large Thanksgiving dinner for anyone who wanted to come. We did not attend but we saw that most of the others did and it seemed quite nice. Comfortable and clean but sites are small. We would stay there again. We camped at Horne Lake RV Park (formerly Osprey First In Florida RV Park) in a Travel Trailer. 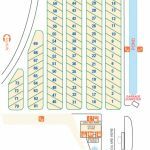 Are you affiliated with Horne Lake RV Park (formerly Osprey First In Florida RV Park) ?